Arriving at the Royal Geographic Society early turned out to be a good thing. I was able to participate in discussions about topics covered in the Question Time style debate ahead of time – and meet a number of people from the National Trust who were involved in organising the event. Talked to Fiona Reynolds, Director-General of the National Trust, on the way in – she was very friendly. Other panel members were David Miliband, Secretary of State for the Environment; Professor Philip Stott from the University of London; Steve Howard, the CEO of the Climate Group; and Alex James, best known as bass player in the band Blur. It was chaired very ably by Rosie Boycott, journalist and first woman editor of a national daily newspaper – she has also written the Foreword to The New Green Consumer Guide. The debate started with a question I get asked all the time – ‘what’s the point of us in the UK doing anything to combat climate change, when there’s exponential growth going on in China and India?’ People will often then point out that we only represent 2% of carbon emissions worldwide. I remember cursing the radio when I heard Margaret Beckett, who was then the Environment Minister, quoting this statistic – it’s clearly de-motivating. She should remember the phrase ‘look after the pennies and the pounds look after themselves’ or in this case ‘look after your own CO2 emissions and the climate will look after itself!’. At the RGS I pointed out that the 2% figure quoted for the UK doesn’t include emissions from all the products we buy from China. So challenging Chinese manufacturers on energy efficiency issues will help reduce their contribution. Equally, they may not follow our lead in cutting carbon emissions but they’re even less likely to take any drastic measures if they feel they’re acting alone. And a member of the audience said he thought that Britain should be leading the move to scale down carbon emissions just as we led its scaling up in the Industrial Revolution. I agree. Other questions were asked about the impact of air travel, carbon off-sets, food miles, supermarket shopping and most contentious of all, wind power! 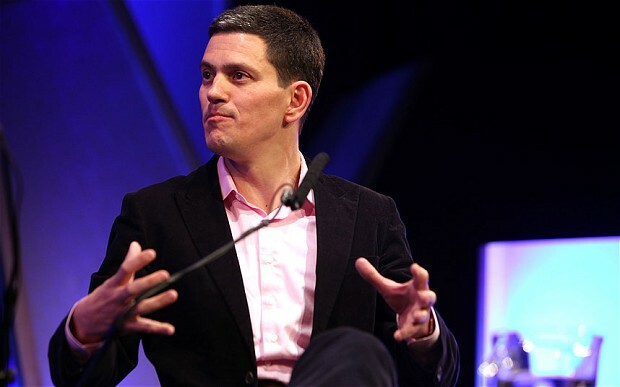 David Miliband is an enthusiastic supporter, but Fiona Reynolds restricted her enthusiasm to smaller scale wind projects. I was alone in saying that I think wind turbines are beautiful – but the applause indicated that the comment resonated with the audience. Dinner afterwards with fellow panellists and other interested parties at Kensington Place before heading off to Gatwick for the night. Horrified to discover that I’d left my passport in a case being taken home by my mother. Decided not to make the trip back into Central London and arranged a taxi to pick it up. But it meant I only got about 3 hours sleep before heading to Naples. This entry was posted in Charities & NGOs, Done, Energy & Climate, News 2007, Speeches & Events. Bookmark the permalink.